You may remember after Christmas I posted about my brothers experience with electronic cigarettes, I personally have never smoked (pause for applause) so I’m not about to lecture those of you who do to stop (we all have our vices, mine is Diet Coke – which is also apparently going to kill me) however for those of you who have been trying since the New Year or are contemplating doing so I thought you might be interested in these. I had no idea you could get anything other than fake cigarette looking e-cigs until a girl I work with pulled out one of these in pink.. I’m going to be honest with you, I thought it was some kind of illegal device but it turns out it’s just another variation and although I’m not suggesting you non-smokers take up ‘vapourising’ I think they’re pretty cute. When I posted last lots of you shared your own experiences with quitting aids, as I said I can’t tell you whether these devices work as I have no use for them myself so I do encourage you to do the same here, any support from others in the same position is always going to be helpful. 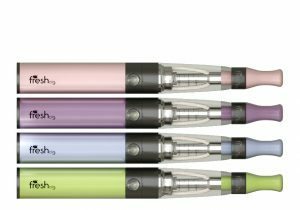 My colleague tells me that although she hasn’t given up entirely (I think for many the social aspect of smoking is what draws them back) she uses her vapouriser while she’s home and it’s helped her cut back considerably. Now if only Freshcig could come up with a cute gimmick to replace my silver can of aspartame.. Have any of you tried this brand? My other vice is buying cars. Forget smoking, you can’t smoke in a new car – or only if you’re crazy anyway. Let me tell you a story about that. I ordered a second-hand (but new to me!) car recently (Vauxhall Corsa 1.2 GSi) and it turned out that it was fraudulent. The previous keeper had not cancelled the finance. If you are going to buy a car without checking it out first then that’s your fault – I was stupid. There are loads of websites that offer free HPI checks like this one I found so why not just spend 20s of your time checking out the car history? ?